For writers such as myself it makes sense that I want as many people as possible to read what I have to say. The first way to do this is to get my site and my content ranked well on Google for valid searches that I write about. The second way is to syndicate my content and share it across many partner sites in the hope that someone will stumble upon it, read it, follow the link to my main site in the footer and possibly bookmark and continue to read my main body of content. I’ve heard some discussion about duplicate content lately and I wanted to set the record straight here about what Google thinks about a writer distributing content to other sites. The issue here is this: Google does NOT want their users to do a search and get links to the same content in the results. They want a varied list of options so the user can choose and get as many links as possible to multiple sources. This makes so much sense in my mind that I’m surprised that I had to even research it. Google wants to serve up unique results and does a great job of picking a version of your content to show if your sites includes duplication. If you don’t want to worry about sorting through duplication on your site, you can let us worry about it instead. 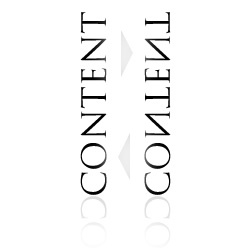 Duplicate content doesn’t cause your site to be penalized. If duplicate pages are detected, one version will be returned in the search results to ensure variety for searchers. Duplicate content doesn’t cause your site to be placed in the supplemental index. Duplication may indirectly influence this however, if links to your pages are split among the various versions, causing lower per-page PageRank. The last item on the list is a concern though. Obviously our goal here is to get people to read our content but we must be concerned as well with the issue of links to our content. I’m sure there are many opinions on this issue. But in my opinion, I really don’t care which article receives the most links and ranks higher. In a perfect world I’d hope that Google decides to rank the article on my main site. Obviously it’s a concern if my article doesn’t rank well but the issue remains that my content is probably ranking high somewhere and I have a clear link in that content back to my main site. Ideally what we should do is post our content on one site and not distribute to other sites. But we all live in the real world and there can be real value in distributing your content with a link back to your site. More content + more locations = larger distribution = more links and traffic back to your main site. Since Google does not penalize you for this practice I would say “go for it” if your goal is to drive traffic. What to do in a perfect world? Ideally the solution is pretty simple but it depends on your goals. The way I see it there are usually 5 reasons for creating content: Contributing to the knowledge of the greater good, trying to get rankings for your content, trying to get links back to your site, trying to add value to your own website and driving traffic. In a perfect world the goal should be to accomplish all 5! If you have a great piece of content and your goal is to add value to your web niche of knowledge then publish it ONCE on your site or publish it ONCE on another high value site. If it’s good, keyword rich content people will usually find it and link to it. In this case it might be best to publish on a high traffic niche site other than your own if your goal is to just contribute to the greater good. If your goal is to rank for this content in the search engines then only one version of the article will rank anyway. So choose the site that has the best chance of ranking. Make sure to include a prominent link back to your site if it’s on another site and you’ll accomplish two important goals (getting a link from a prominent site AND driving traffic back to your site). I think trying to rank with content on your site should be the top priority though. If your goal is to get links to your site, then you should consider publishing your content on another high PR, high traffic, highly relevant site. You’ll contribute to the quality and value of their site and you’ll get a nice, high quality link in return that might boost your PR and your traffic. If you’re simply trying to add value to your own site then DON’T publish it all over the place. You’ll get the added value of rankings that lead directly to your site and links to your site. I think it’s as simple as that.